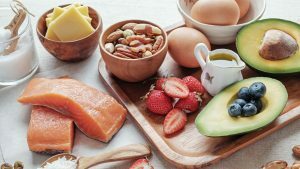 Low carb is booming and not without a reason: How to lose weight with the Low Carb diet is child’s play and whether the nutritional form is also suitable for you, we clarify here. What does low carb mean anyway? How do you take off with the low carb diet? Why does the body need carbohydrates? 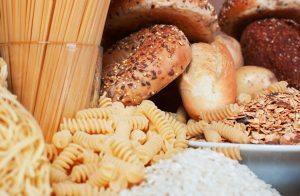 How many carbs should you eat daily? What foods are allowed in the low carb diet? Is Low Carb suitable for vegetarians? What exactly does Low Carb mean? Those who feed themselves on low carb diets, eat as the name implies low carbohydrate (low carb = low carbohydrates). Carbohydrates are not completely prohibited, as many mistakenly mean because our body, especially the brain, needs a certain amount of carbohydrates in order to function properly. The secret of low carbohydrate diets like LOGI, Fat Decimator is this: if your body does not consume a lot of carbohydrates, your metabolism will change over time and your energy will not be derived from carbohydrates, but from the fat stores. This is called ketosis. But again slowly: The energy that the body normally gains from sugar is stored in the form of glycogen in the muscles and in the liver – the so-called glycogen stores – until it is consumed. However, if the glycogen is not consumed from storage (too little exercise, no exercise, too many sweets, etc. ), the energy is turned into fat to be stored in another place – fat cells on the stomach, chest, arms, and so on Storage space is limited. But if you now reduce the carbohydrates and eat only very low carbohydrate, the glycogen stores are soon empty. Sounds threatening, but do not worry: this is where the principle of low carb diets comes in. The body will (have to) change its metabolism and will inevitably try to gain its energy, which it has otherwise extracted from the sugar units in the stores, now from our fat reserves. 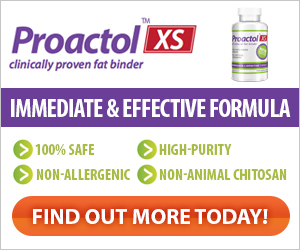 Excess body fat is broken down and bacon pads have no chance to settle thanks to low carb. But to really understand this, you should know what carbohydrates are exactly and how they work in our bodies. Because only with this knowledge, the principle of the low carb diet can really understand. All types of carbohydrates (or simply called carbs) consist in principle of sugar or sugar building blocks. But that does not mean that all carbohydrates taste sweet, because pasta, potatoes, and Co. contain carbohydrates, in the form of starch, but also starch is nothing but sugar. And now it gets really complicated: Every kind of sugar basically consists of so-called “simple sugars” (monosaccharides), which are present individually or in combination (double and multiple sugars). The best-known monosaccharides are glucose (glucose) and fructose (fructose). Household sugar (sucrose) and milk sugar (lactose) in turn belong to the double sugars (disaccharides) since they consist of two interconnected simple sugars. Multiple sugars, also called polysaccharides, consist of a long chain of simple sugars. The best-known example is the “complex carbohydrate” starch. Carbohydrates provide about 4 calories per gram and are largely used as “fuel” for energy. In the intestine, all carbohydrates must first of all be divided into their individual parts, because they only pass through the intestinal wall in the form of monosaccharides, from where they then enter the bloodstream. The hormone insulin then transports the glucose from the blood into the body cells. Insulin is released by the pancreas whenever (much) sugar in the blood is. Lots of sugar in the blood – lots of insulin, little sugar in the blood (less insulin). So if you snack a chocolate bar, causing a rapid increase in his insulin level. When the sugar is then transported from the blood into the cells, the insulin level also drops again. When sweets and the mirror rises and falls very quickly, therefore threatened cravings. However, a certain concentration of sugar in the blood is vital, because if low blood sugar threatens, the liver interferes and causes the breakdown of the body in white of glucose. 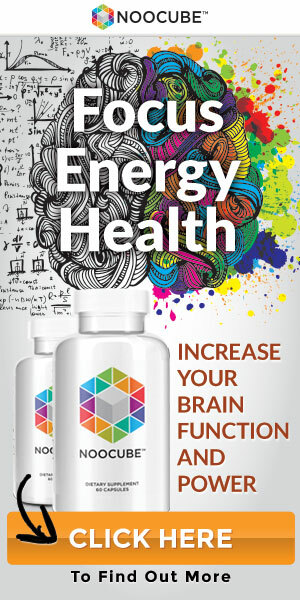 This ensures that enough glucose is present to maintain brain function. But of course, you want to prevent this from happening, because the body protein is actually needed elsewhere. But who is constantly sweet and carbohydrate-rich, overwhelmed his pancreas very quickly, as they constantly pour out insulin. In addition, excess carbohydrates that are not consumed immediately as energy are converted into fat and end up unerringly in our problem areas. It is therefore beneficial to eat foods with complex carbohydrates, such as rice and bread, instead of sweets. But here, too, it depends on the crowd. Because whether sugar or starch, insulin is always involved. Those who want to lose weight should be careful to keep their insulin levels at a constant, relatively low level. And the easiest way to do that is via a low carb diet. How many carbohydrates can you still eat with the Low Carb diet a day? 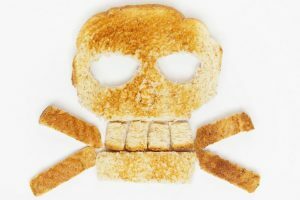 “How many carbs can I eat now if I want to lose weight?” A difficult question that is not easy to answer. There are many low carb forms (Atkins, LOGI & Co.) – and each one differs in the number of carbohydrates allowed. Do not stare so much on numbers! It is important that you minimize the daily amount of carbohydrates – in principle, how much is left to you. But of course there are certain guidelines that you can use to orient yourself: If you want to lose weight, ideally you should only take in between 50 and 100 g of carbohydrates per day. Those who consume less than 30 to 50 g of carbohydrates per day permanently eat ketogenic. A ketosis is a kind of hunger metabolism in which the body gains its energy directly from fat. This usually happens when he gets less than 50 grams of carbs per day. What sounds like the disease is actually a condition that is increasingly used as a therapy: Very successful in obesity and diabetes, but also in cancer and neurological diseases. “The big advantage of ketosis is that significantly fewer muscles are broken down than when losing weight with the usual metabolic status,” says nutritionist Prof. Nicolai Worme from the German University for Prevention and Health Management. He was one of the first to champion low carb in Germany. Nevertheless, it is not that Low Carb will really do any good until ketosis is achieved. “The positive effects start long before, low carb does not have to be extreme.” Because LOW CARB is not called NO CARB! Because in the end, when you lose weight with low carb is the energy balance, so if you take more calories than consumed. Correct: Proteins provide a more intense, lasting satiety, and fat as a carrier of flavors for a satisfaction that carbohydrates cannot provide. And if you’re full, snack less – that’s why low carb diets are easier to sustain than low-fat regimes. In addition, Low Carb has a positive effect on the basal metabolism, also because it costs more energy to break down proteins than carbohydrates. “However, to gain less than 130 grams of carbohydrates a day, you have to make an effort,” says nutritionist Prof. Nicolai Worm of the German University for Prevention and Health Management. And eat a lot of cream, peanut butter, and cheese. Fish & meat are fully recommended in the low carb diet because these foods contain little / no carbohydrates. Exceptions: everything is breaded. Milk & dairy products such as cheese also get a “thumbs up” from us – but with a few exceptions (milk and yogurt), because 100 ml of milk has only 5 g of carbohydrates, with a glass of milk, but you come in 200 ml and accordingly to 10 g. For the cheese: but as long as it is not (breaded) Camembert or Scheibletten cheese. Potatoes and legumes contain a relatively large number of carbohydrates but are tolerated in moderation, as these are healthy, long-chain carbohydrates that are slow to enter the bloodstream and also make you full for a long time. It is best to eat legumes such as chickpeas and others for lunch because in the evening they should generally do without carbohydrates. Nuts, seeds & seeds are welcome at Low Carb. Some nuts have more, the others fewer carbohydrates – but most are recommended with a normal serving of about 40 grams without restriction, as they also provide many healthy fats, vitamins, and minerals. Add the flax and Chia seeds to your meal, whether it’s muscle or smoothie. Poppy seeds and pumpkin seeds, as well as sesame, are also featured on the Low Carb menu. Although fat and oils contain fat, no carbohydrates, they are not only allowed but also expressly desired in a low carb diet. Especially the good fats such as vegetable oils, nuts, and avocados. You should, however, avoid mayonnaise and salad dressings based on mood. And what about fruits and vegetables? A 200-gram serving delivers 25 grams each. Pumpkin contains 9, while Swiss chard leaves with only a single gram of Carbs. Nevertheless, “such calculations should not prevent anyone from eating fruits and vegetables,” says nutritionist Prof. Nicolai Worme of the German University for Prevention and Health Management. You can not consume so many greens at once, to mess up the balance completely. “Only juice is problematic,” says the expert. Just a few apples are stuck in a large glass of pure apple juice – and thus plenty of fructose. Is Low Carb also suitable for vegetarians? Many say that low carb is hardly possible for vegetarians. But on the contrary: The most effective is a low carb diet if you take more vegetables. For those who are already consciously eating, the low-carbohydrate food is usually no problem at all: legumes, nuts, eggs, tofu, all that is allowed and desired! “Low carb does not have to be meaty,” says Prof. Nicolai Worm from the German University for Prevention and Health Management. It bothers him that the theme is always illustrated with bacon and eggs. In any case, the most effective change to a low carbohydrate diet is to eat more vegetables wherever possible. And vegetarians do that anyway. With Low Carb you lose weight quickly and efficiently – and if you continue to eat low in carbohydrates, the weight can also be kept light. And one should also: Because low carb is not a classic diet, but a long-term change in diet. Since the low carb diet is very protein-stressed, the blood sugar level is not so badly affected and food cravings have no chance. 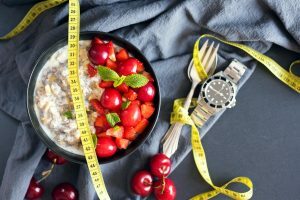 Since one must deal with the do’s and Don’ts of a low carb diet before the start of the diet change, one learns more consciously with the topic of nutrition and slimming to deal. Low carb opponents often criticize the fact that the form of ingestion is a form of malnutrition. This all relates to the very radical Atkins diet, a form of low carb diet that radically eliminates carbohydrates from the diet (“No Carb”). The reason: Since no more carbohydrates are eaten, more protein and fat is absorbed. For example, this should increase the risk of kidney damage. Also, the cholesterol level should be influenced negatively. During the first few weeks, many people complain about “side effects” of the so-called “low carb flu”, such as tiredness, lack of concentration and headaches. These symptoms disappear quickly, however, as soon as the body has become accustomed to the new metabolic situation. As a result of ketosis (see Loosing with Low Carb) often develops an unpleasant taste in the mouth, which is described by those affected as “metallic with a fruity note”. Even bad breath can occur in the course of this. Also, you can Learn about No Carb instead of Low Carb?